Difference quotients are the path to the definition of the derivative. Here are three posts exploring difference quotients. Difference Quotients II The symmetric difference quotient and seeing the three difference quotients in action. Showing that the three difference quotients converge to the same value. Seeing Difference Quotients Expands on the post immediately above and shows some numerical and graphical approaches using calculators and Desmos. 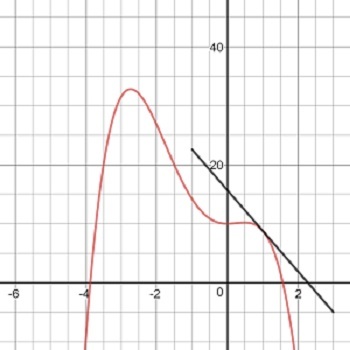 Tangents and Slopes You can use this Desmos app now to preview some of the things that he tangent line can tell us about the graph of a function or save (or reuse) it for later when concentrating on graphs. Discuss slope in relation to increasing, decreasing, concavity, etc. ← Working up to the derivative.